Masterpiece has emerged with their 2nd new album 2013 "Rock and Roll" after a long time wait for their fan. From the previous album Masterpiece "Merindang Ke Bintang" with hit song 'Sinu', now Masterpiece back again with a new album "Rock and Roll". Masterpiece "Rock and Roll" album consist of 10 songs, a special appearances also famous Sape player, Jerry Kamit through the song ‘Nyawa Jak Tanya’ and Romy, better known as Bujang Kesindap (Majestica guitarist) through the song ‘Nyaga Negeri’. 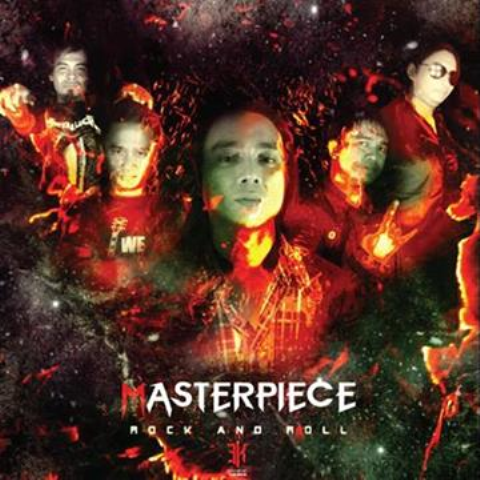 The new album (Masterpiece "Rock and Roll") is also produced entirely in the studio recording Masterjam Studio own by Masterpiece in Sibu, where songs are composed by Depha Masterpiece and sound touch by our own well known sound engineer, Norman ading aslo on the video clip itself made talented young photographers & director,Cosmas. Masterpiece Album published by the publisher and owner of Panggau Buluh Pengerindu (PBP) Production, Embat Lala and released in compact disc (CD), Video CD (VCD) and Digital Compact Discs (DVDs). How to get the album Masterpiece "Rock and Roll": In addition the album are sales to is available agent or Masterpiece fans can also make online purchases through the courier's website and Facebook page,www.facebook.com/DephaMasterpiece or any other Facebook accounts belonging to all members of the Masterpiece. Here's one of the single from the album of Masterpiece "Rock and Roll" video lyrics "Kumang Seari", the hits song. To all Masterpiece fans and supporters of Dayak music industry get their new Masterpiece "Rock and Roll" and make sure it's ORIGINAL album only.